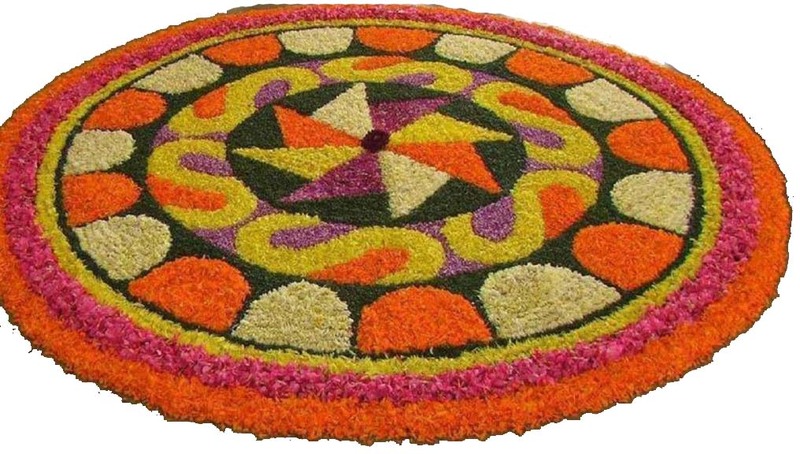 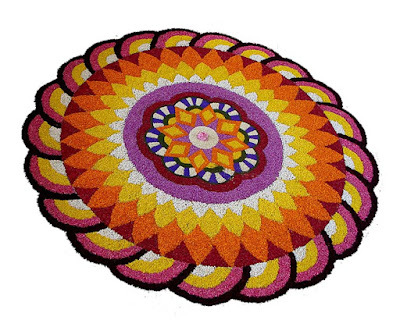 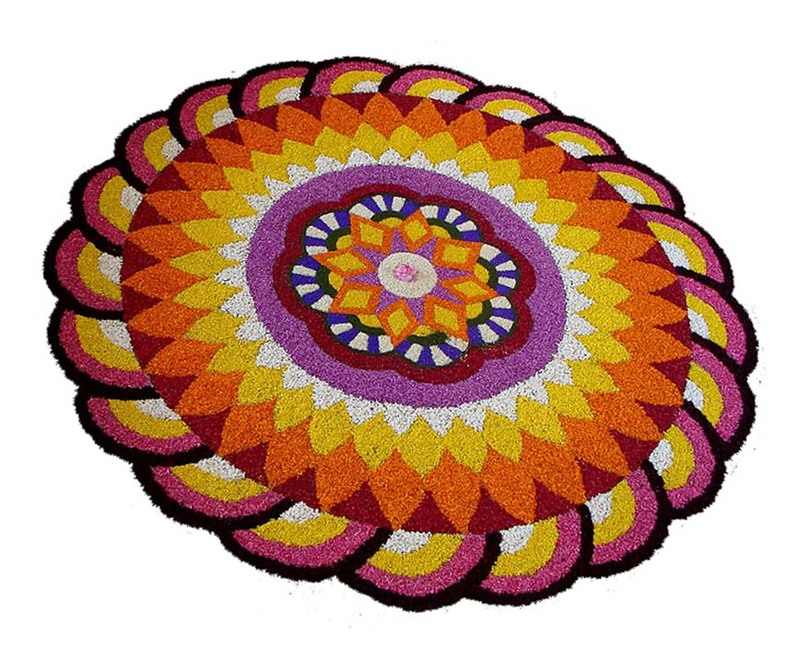 Onam Pookalam – Latest Photos of Floral Designs. 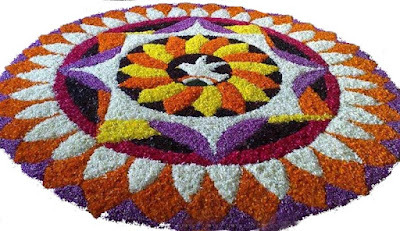 (We will update Onam Pookkalam 2018 photos as we receive them). 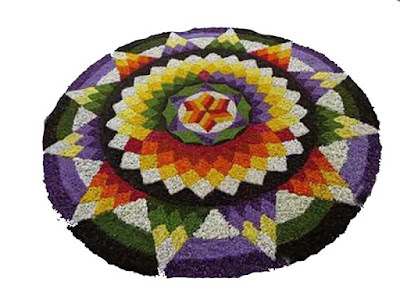 Talk about Onam in Kerala and one of the first images that come to mind is that of the flower bed or floral (designs) arrangements known as Pookkalam or Athapookalam. 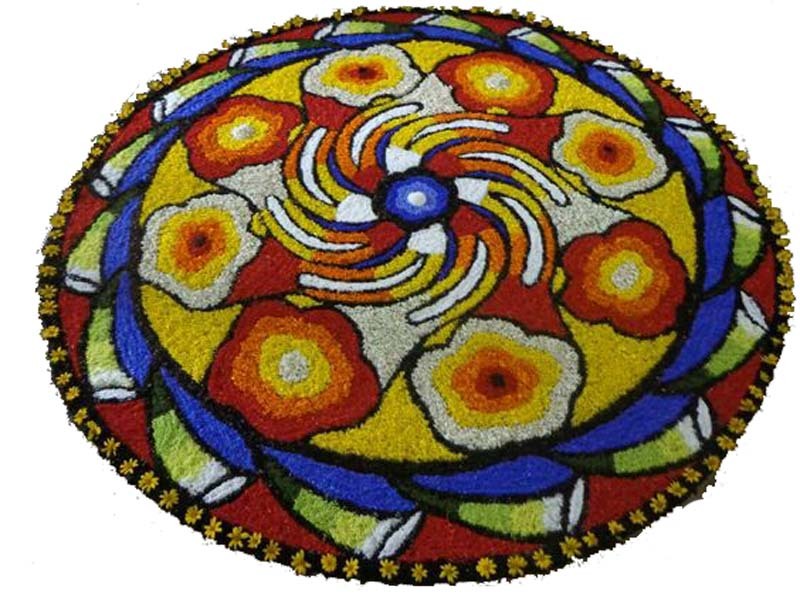 The traditional Ona-pookalam usually consists of ten rings indicating the ten day ritual during the ten day celebrations of Onam which begins on Atham and ends on Thiru Onam in the month of Chingam (August – September). In 2018, Onam is on August 25. Here are pictures of some of the Pookkalams that won first prize in competitions held in Onam 2017, 2016, 2015, 2014, 2013, 2012, 2011, 2010, 2009, 2008, 2007, 2006 and 2005. 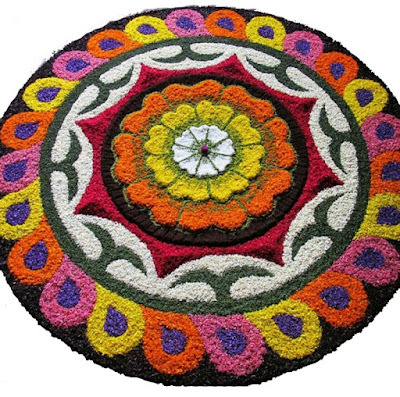 The aim is to give an idea of the various modern designs used in pookalam, which is a natural rangoli or kolam. 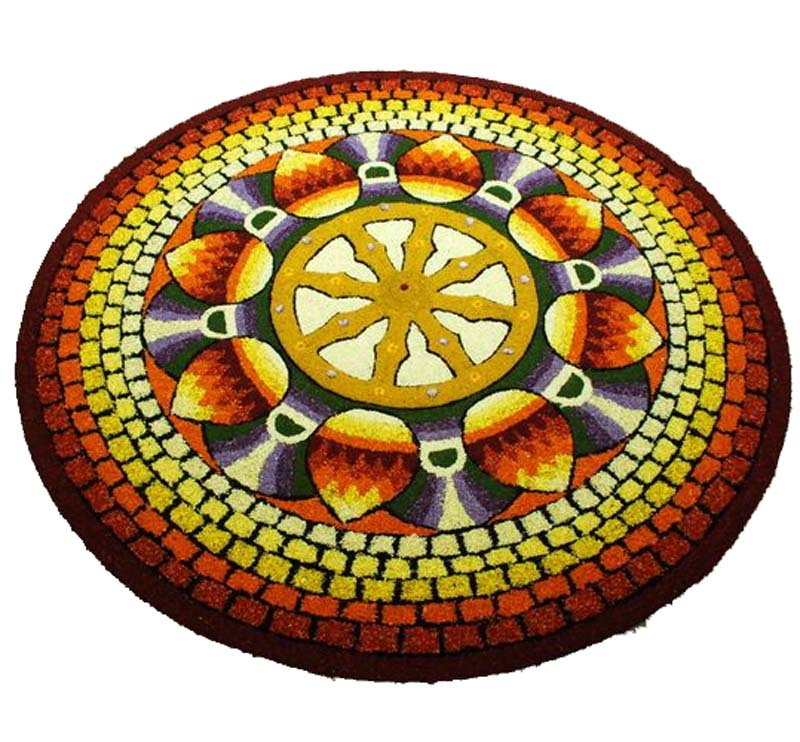 The larger image might not be always of high quality. 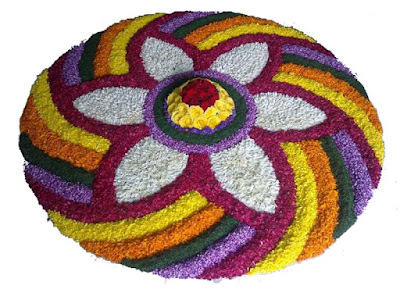 All photos are copyrighted to respective owners. All the photos are copyrighted to respective owners.